How to Cast Vote Via EVM-VVPAT Machine? Home Politics How to Cast Vote Via EVM-VVPAT Machine? 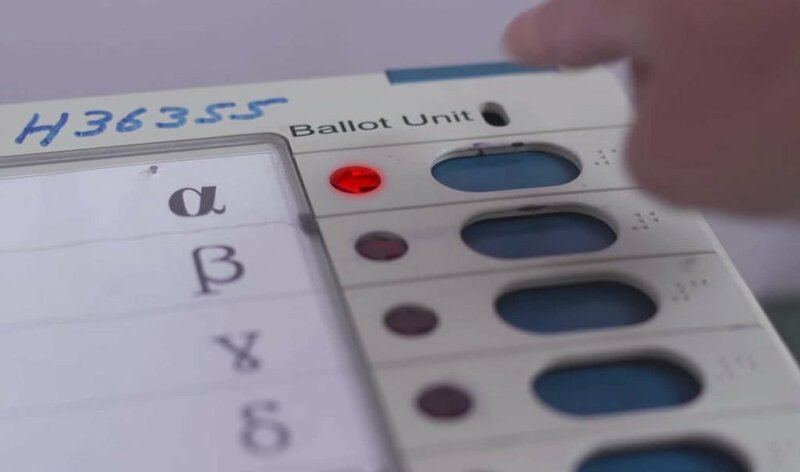 In this article, we explain you How you can cast vote via EVM-VVPAT Machine. Election commission finally announced voting of Loksabha election is done via EVM-VVPAT Machine. However, Some people see this voting system first in there lifetime. So, In this article, we’ll explain you how to cast your vote via EVM-VVPAT Machine. Before, explaining you the procedure, let me first explain you some brief points about these two machines. Those of you who think that EVM and VVPAT are separate machines then, you are right. Of course these are two machines having different functionalities. However, VVPAT is just an extension of EVM. Without EVM, there is no use of VVPAT machine. 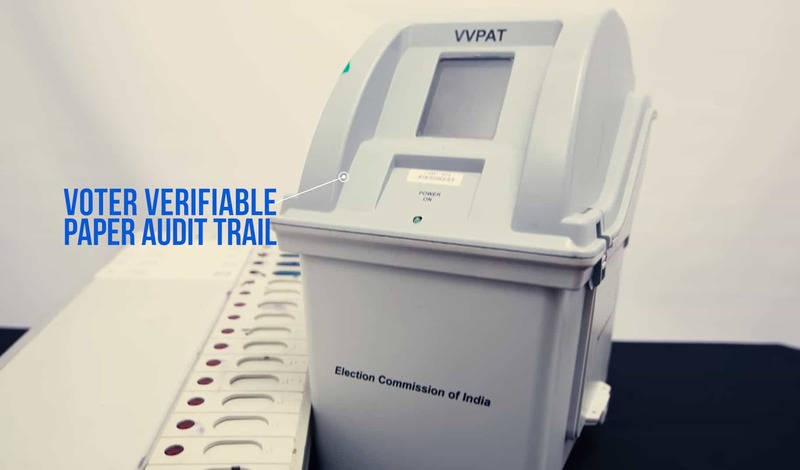 VVPAT stands for Voter Verified Paper Audit Trail. Election commission introduce this machine after allegations of EVM tampering back in April 2017. 16 parties raise objection that somehow EVM is tampered. They wants to switch back to ballot paper voting. Therefore, election commission develops a new system called VVPAT. Those of you vote at least once in your lifetime must know How to vote via EVM machine. Now, casting a vote via EVM-VVPAT machine is nothing but here you get an additional slip. Once you punch a vote for a party say PARTY A then, EVM register your vote in its memory whereas VVPAT machine gives you a print out slip for the party you vote. See below in the photos. 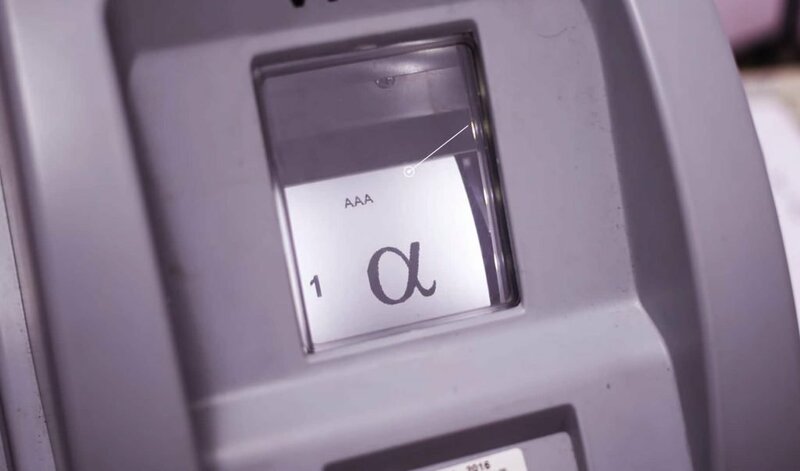 In the above photo you can clearly see, one cast a vote for party α in EVM’s ballot unit and VVPAT prints out for the same. Next articleUIDAI Launches Masked Aadhaar: What it is and How to get it?